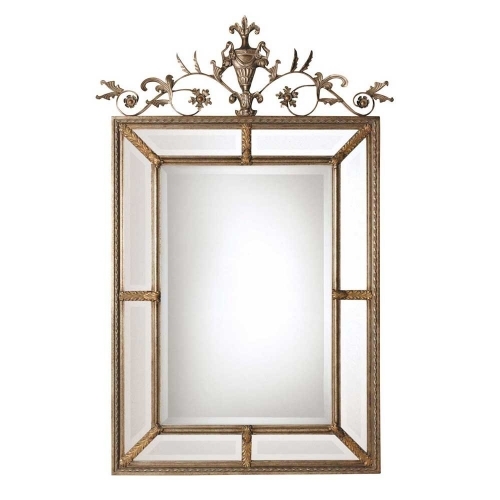 Ulyana is an Ornate Mirror with classical french styling. The Frame is Ornately Gold Gilded with a gray wash. The Center mirror features a generous 1.25" bevel.